Live in style at Canvas in apartment 1B which features distinctive two level living! The oversized apartment is a duplex that can be converted to many needs. Located on the ground floor it also features a beautiful private backyard accessible by the spacious living/dining area that is offset of the thoughtfully designed kitchen that pairs wood cabinetry and Caesarstone countertops. All stainless steel appliances include a Samsung refrigerator, Bosch gas range and a dishwasher. W\D are in the unit. Modern details abound, with floor-to-ceiling windows, engineered wood flooring in a desert sand finish and a customized closet. The large bedroom can fit a queen bed while the bathroom is outfitted with porcelain tiles, a mosaic accent wall, Kohler shower head with deep soaking tub and a radiant heated floor. 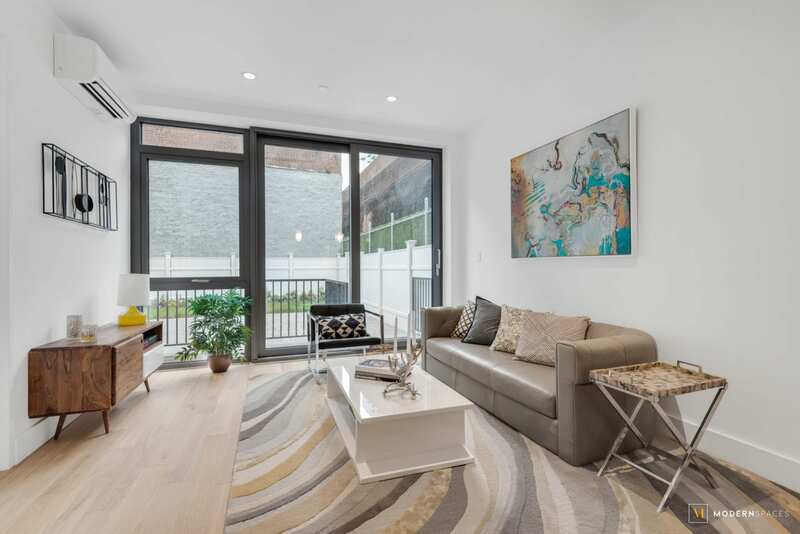 Distinctive premium craftsmanship is reflected throughout this brand new condominium. 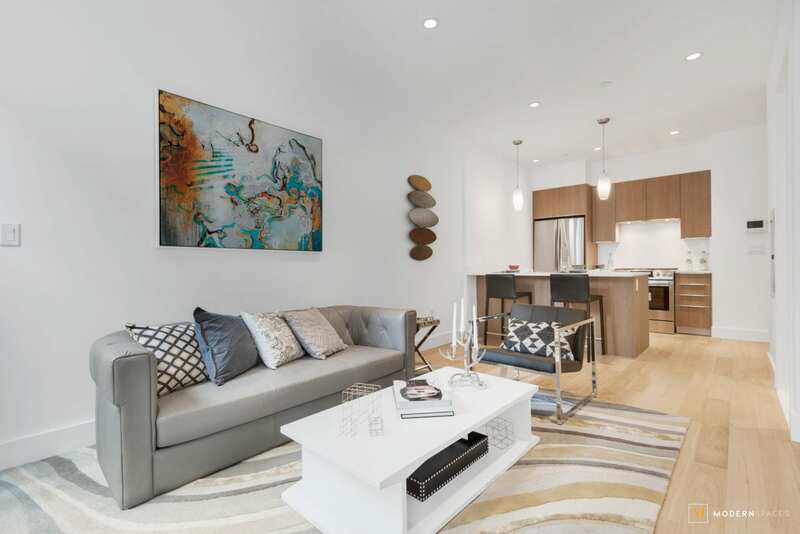 The Canvas Condominium is an intimate 14-unit condominium residence which reflects the excitement of Long Island City’s distinctive Court Square, where convenience meets an exceptional lifestyle. The striking eight-story building immediately catches the eye, as it is literally a canvas for visual artist, Jojo Anavim, with his exterior multi-story custom mural that sets the tone for inspired design — both on the outside façade and inside, where Jojo has placed another mural in the lobby. 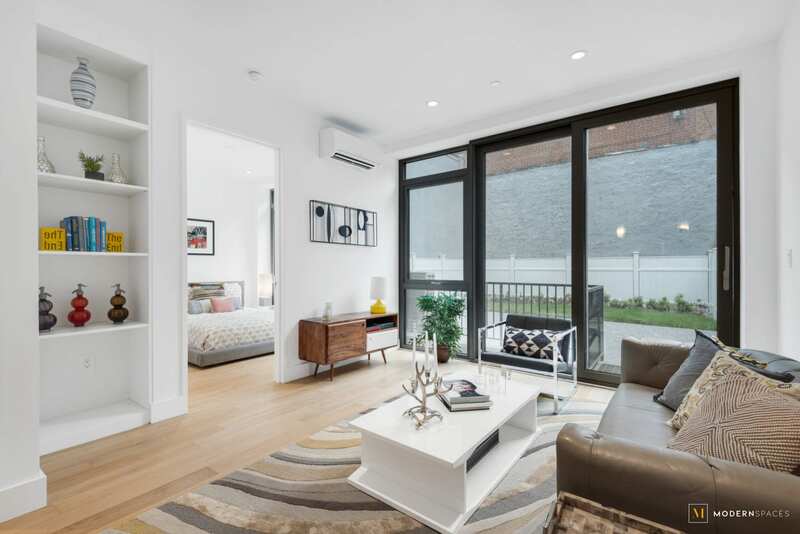 The location provides easy access to all amenities, even as it serves as a quiet retreat amidst the neighborhood bustle. Within Long Island City’s nexus for arts and culture, Canvas stands out as an personable community where residents will feel immediately at home. Shopping and dining are in all close proximity — with convenient transportation just steps away. Court Square is thriving as one Long Island City’s most fascinating neighborhoods — centrally located — with easy access to Manhattan. The community continues to evolve as cultural center, with one of the highest concentrations of art galleries and studio spaces in New York City. Stop by MoMA PS1, Noguchi Museum or stroll through Gantry Plaza State Park, the riverside retreat with fishing piers and running paths. The nearby dining scene is a foodie’s delight. Savour a delicious meal at Michelin-rated restaurants Casa Enrique and M. Wells Steakhouse or relax at a nearby café. All this and more becomes your lifestyle at Canvas, which sets a new standard for luxurious living in Long Island City within a community-focused setting. Immediate Occupancy. No Broker Fee. 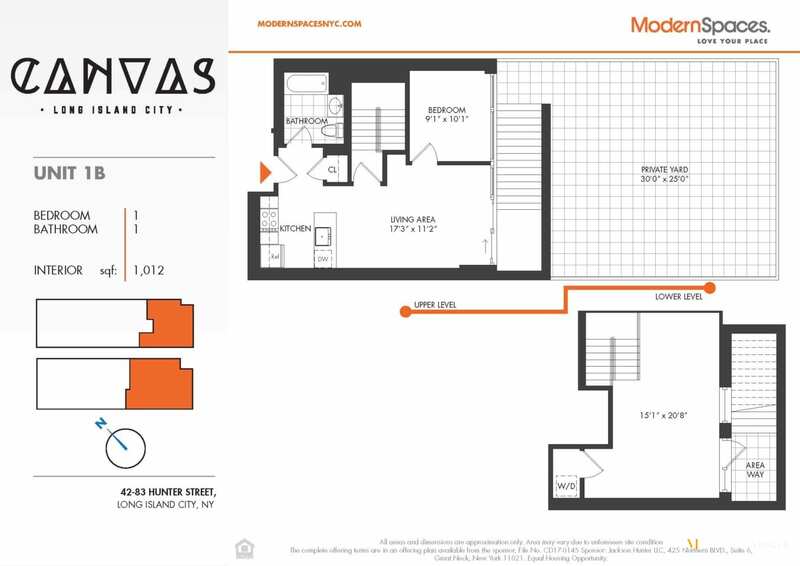 Live in style at Canvas in apartment 1B which features distinctive two level living! The oversized apartment is a duplex that can be converted to many needs. 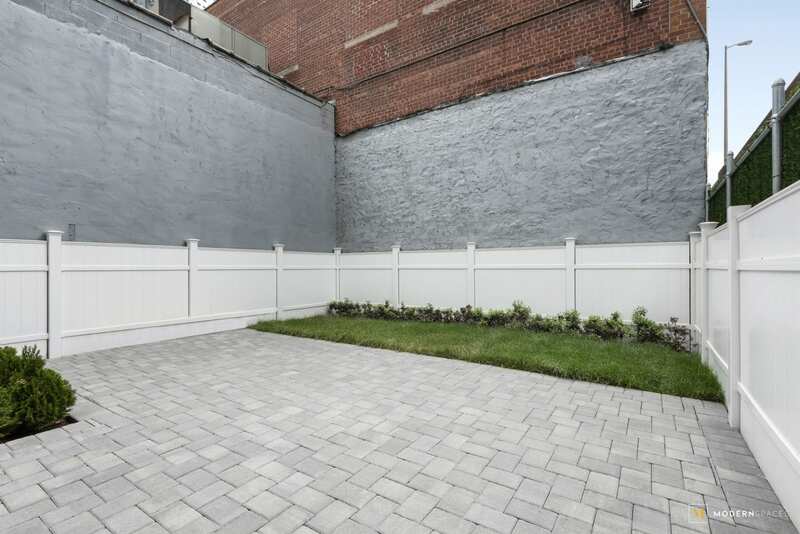 Located on the ground floor it also features a beautiful private backyard accessible by the spacious living/dining area that is offset of the thoughtfully designed kitchen that pairs wood cabinetry and Caesarstone countertops. All stainless steel appliances include a Samsung refrigerator, Bosch gas range and a dishwasher. W\D are in the unit. Modern details abound, with floor-to-ceiling windows, engineered wood flooring in a desert sand finish and a customized closet. The large bedroom can fit a queen bed while the bathroom is outfitted with porcelain tiles, a mosaic accent wall, Kohler shower head with deep soaking tub and a radiant heated floor. 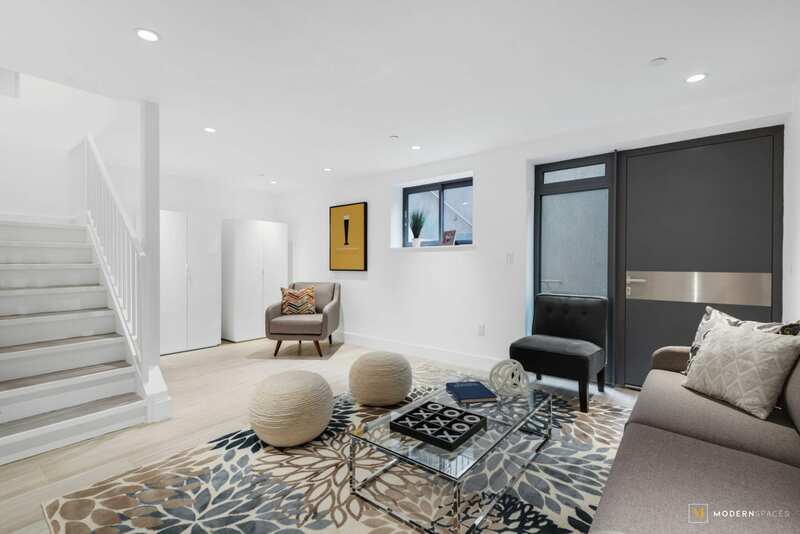 Distinctive premium craftsmanship is reflected throughout this brand new condominium. 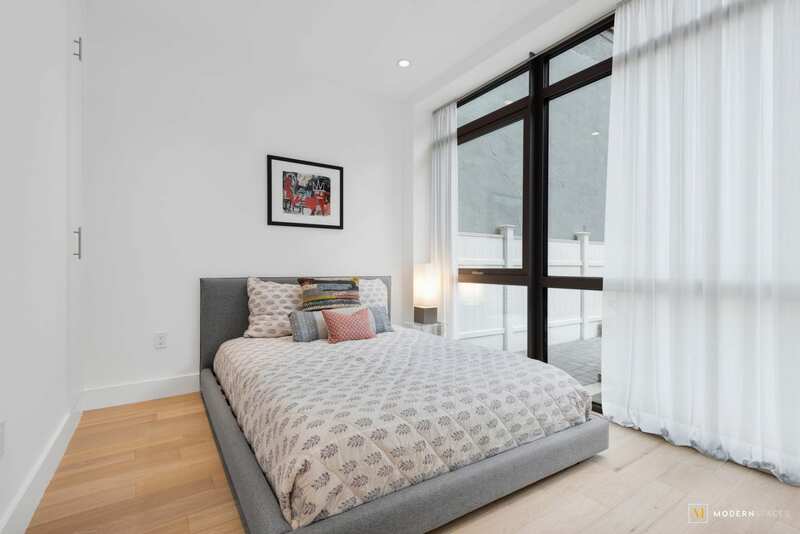 Amenities include a virtual doorman, a basement laundry room and fully equipped fitness center on the first floor. 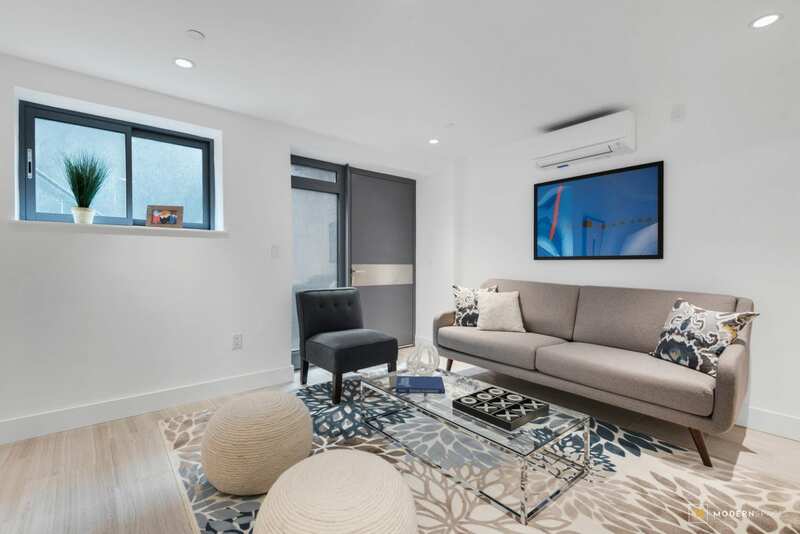 The Canvas Condominium is an intimate 14-unit condominium residence which reflects the excitement of Long Island City’s distinctive Court Square, where convenience meets an exceptional lifestyle. 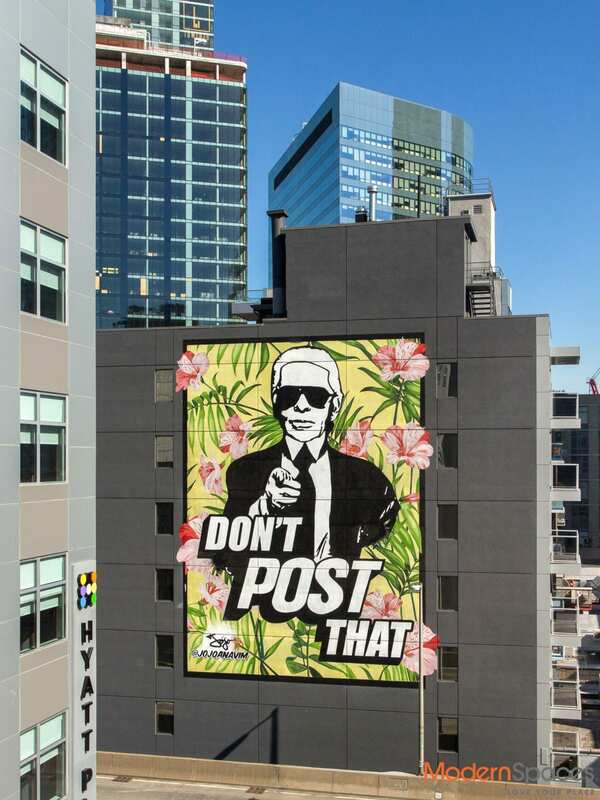 The striking eight-story building immediately catches the eye, as it is literally a canvas for visual artist, Jojo Anavim, with his exterior multi-story custom mural that sets the tone for inspired design — both on the outside façade and inside, where Jojo has placed another mural in the lobby. The location provides easy access to all amenities, even as it serves as a quiet retreat amidst the neighborhood bustle. Within Long Island City’s nexus for arts and culture, Canvas stands out as an personable community where residents will feel immediately at home. Shopping and dining are in all close proximity — with convenient transportation just steps away. Court Square is thriving as one Long Island City’s most fascinating neighborhoods — centrally located — with easy access to Manhattan. The community continues to evolve as cultural center, with one of the highest concentrations of art galleries and studio spaces in New York City. Stop by MoMA PS1, Noguchi Museum or stroll through Gantry Plaza State Park, the riverside retreat with fishing piers and running paths. The nearby dining scene is a foodie’s delight. Savour a delicious meal at Michelin-rated restaurants Casa Enrique and M. Wells Steakhouse or relax at a nearby café. All this and more becomes your lifestyle at Canvas, which sets a new standard for luxurious living in Long Island City within a community-focused setting. Immediate Occupancy. No Broker Fee.